Horse Racing Nation is thrilled to syndicate "Horse Racing Talk," hosted by Iowa-based KXnO's Emery Songer and John Hernandez. Look for a new edition here each week! 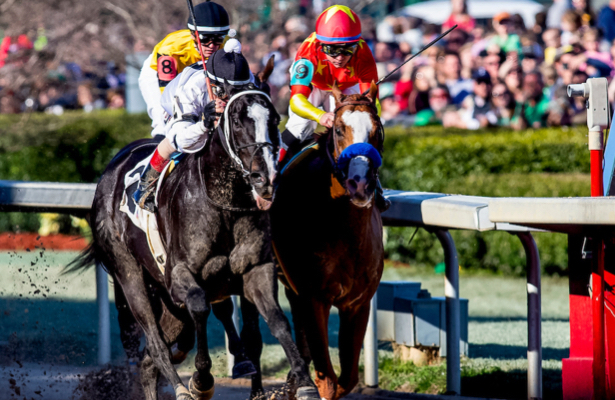 • The hosts open with a look back to last weekend's Kentucky Derby and Oaks preps, including he Santa Anita Derby, Wood Memorial and Blue Grass Stakes. • Then it's on to what's ahead this weekend, mainly Saturday's Arkansas Derby and Lexington Stakes, the final points-paying stops on the way to Churchill Downs. Emery Songer and John Hernandez talk with some of the biggest names in horse racing weekly on KXnO's Horse Racing Talk! Emery grew to love horse racing by watching horses like Barbaro and Rachel Alexandra while witnessing the pageantry and history of The Sport of Kings. John is a longtime veteran of the horse racing media world and he currently serves as the track television handicapper and commentator at Prairie Meadows in Altoona, Iowa. His years in the industry all over the country have allowed him to create relationships with some of the top jockeys, trainers and personalities in horse racing. Together, they bring different perspectives and analysis from the biggest races and events on the national thoroughbred scene. Each week, some of the important players in the game talk about their experiences and give special insight about the latest happenings in their career and on the track. Tune into the show each week to stay up-to-date on some of the biggest stories here, at kxno.com or through the iHeartRadio app.